"For we must consider that we shall be a city upon a hill. The eyes of all people are upon us, so that if we shall deal falsely with our God in this work we have undertaken, and so cause Him to withdraw His present help from us, we shall be made a story and a byword through the world." "You get whatever accomplishment you are willing to declare." "Nothing is as difficult as to achieve results in this world if one is filled full of great tolerance and the milk of human kindness. The person who achieves must generally be a one-idea individual, concentrated entirely on that one idea, and ruthless in his aspect toward other men and other ideas." "What would a smarter person than me do? Then do it!" "A man has to work so hard so that something of his personality stays alive. A tomcat has it so easy, he has only to spray and his presence is there for years on rainy days." "Death comes to all But great achievements build a monument which shall endure until the sun grows cold." "The starting point of all achievement is desire. Weak desire brings weak results." "Man is always more than he can know of himself; consequently, his accomplishments, time and again, will come as a surprise to him." "You will soon break the bow if you keep it always stretched." "The man who is dissatisfied with himself, what can he do?" "I hope that my achievements in life shall be these -- that I will have fought for what was right and fair, that I will have risked for that which mattered, and that I will have given help to those who were in need that I will have left the earth a better place for what I've done and who I've been." "Said will be a little ahead, but done should follow at his heel." "I was the kind nobody thought could make it. I had a funny Boston accent. I couldn't pronounce my R's. I wasn't a beauty." "When science, art, literature, and philosophy are simply the manifestation of personality they are on a level where glorious and dazzling achievements are possible, which can make a man's name live for thousands of years. But above this level, far above,"
"The average estimate themselves by what they do, the above average by what they are." "My mother drew a distinction between achievement and success. She said that achievement is the knowledge that you have studied and worked hard and done the best that is in you. Success is being praised by others. That is nice but not as important or satisfying. Always aim for achievement and forget about success." "Dedicate yourself to the good you deserve and desire for yourself. Give yourself peace of mind. You deserve to be happy. You deserve delight." "Our achievements speak for themselves. What we have to keep track of are our failures, discouragements and doubts. We tend to forget the past difficulties, the many false starts, and the painful groping. We see our past achievements as the end results of"
"We always take credit for the good and attribute the bad to fortune." "Out of the strain of doing and into the peace of the done." "Be not afraid of flying. Angels live in the clouds and the devil on the earth." "Somehow I can't believe that there are any heights that can't be scaled by a man who knows the secrets of making dreams come true. This special secret, it seems to me, can be summarized in four C s. They are curiosity, confidence, courage, and constancy, and the greatest of all is confidence. When you believe in a thing, believe in it all the way, implicitly and unquestionable." "Life affords no higher pleasure than that of surmounting difficulties, passing from one step of success to another, forming new wishes and seeing them gratified." "To spend life for something which outlasts it." "One who has done nothing, is not known until they have done something." "''Where there is a will there is a way.'' is an old true saying. He who resolves upon doing a thing, by that very resolution often scales the barriers to it, and secures its achievement. 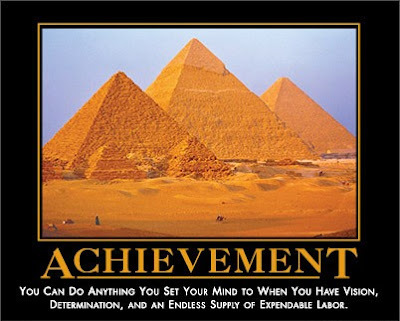 To think we are able, is almost to be so -- to determine upon attainment is frequently attainment itself." "There is a woman at the beginning of all great things." "We live in deeds, not years: In thoughts not breaths; In feelings, not in figures on a dial. We should count time by heart throbs. He most lives Who thinks most, feels the noblest, acts the best." "If Columbus had turned back, no one would have blamed him. Of course, no one would have remembered him either." "For what is the best choice, for each individual is the highest it is possible for him to achieve." ""No matter who you are it's the simple things in life that lead you to believe that you can achieve anything." "
"The fellow who does things that count, doesn't usually stop to count them." "The mode in which the inevitable comes to pass is through effort." "Accomplishment is easiest when we work the hardest, and it is hardest when we work the easiest."